The Beverage Air BM23-B-28 is perfect for both residential and commercial use. 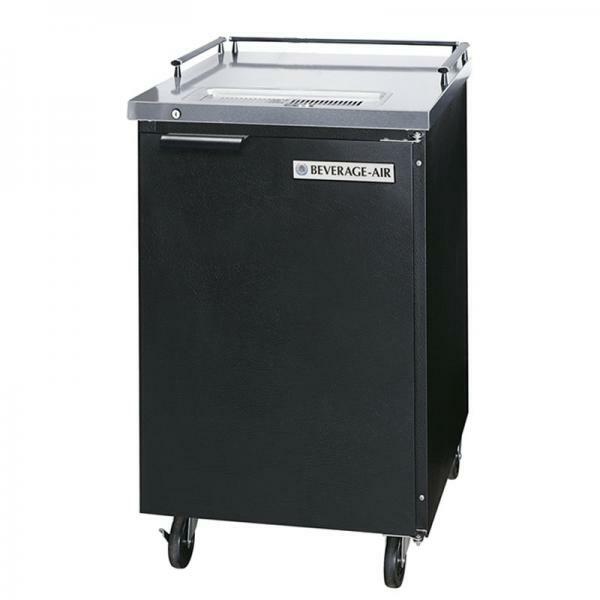 It can hold a full keg and comes with a heavy-duty forced-air refrigeration system to keep beer consistently chilled. The cold air is contained by the use of magnetic gaskets, which provide a positive seal. This unit comes with a hole cover in place of the draft tower. The galvanized steel interior walls and ceilings as well as the stainless steel floors and door-sills provide the unit with long lasting durability. The foamed-in-place insulation provides increased structural integrity and high levels of energy efficiency. The four inch casters make moving the unit effortless and perfect for the home, club, or catering event. 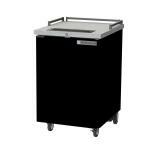 Draft Beer Cooler, portable, 24"W, 7.66 cu. ft.